This paper was presented at MLA’s BeefUp Days, Tennant Creek and Alice Springs 2016. Reproduced with thanks to MLA. 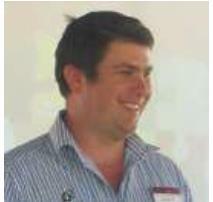 Ian works with pastoral businesses across northern Australia and is passionate about better understanding and improving pastoral business performance. He spent eight years in the Northern Territory, working for the NT Department of Primary Industry and the NT Cattlemen's Association. Since leaving the NT, Ian has established Bush AgriBusiness Pty Ltd and completed a Master of Business Administration degree. Ian was lead author of the Northern Beef Report and leads the delivery of the Business EDGE workshop across northern Australia. Making the most of the current situation and positioning for the future. It is an exciting time to be in the beef industry with high prices, increasing demand for our quality product and a positive climatic outlook. What does this mean going forward for beef producers? What should producers do to capitalise on the current situation, and best position their business for future performance? The lowest cost producers are the most profitable (i.e. those with the lowest cost of production per kg LW, not necessarily those with the lowest overall cost structure). Price received is not a profit driver (as it is not within the control of producers and a higher price received does not always correspond with an improved bottom line). The top performing beef businesses have more productive herds and a more effective cost base, which combine to give them a low cost of production. While we are in a high point of the price cycle, which benefits all, there is nothing to indicate that the above fundamentals do not, and will not, continue to apply for the beef industry. The current situation does, however, present an opportunity for businesses to invest in themselves in areas which will improve their long term performance. The first area of reinvestment to be considered is reducing debt, doing so will improve the bottom line of most beef businesses. Reducing debt provides a guaranteed return of your cost of finance, which should therefore be the minimum required return for any alternative investments in the business. For businesses operating in the extensive rangelands, this is essential information. Exceeding your long term carrying capacity for extended periods erodes land condition and the ability of your station to convert rainfall into pasture. Getting an accurate handle on herd numbers under extensive conditions is inherently difficult, but also critical to the business. Knowing your herd numbers is not just knowing the herd numbers (in total and by class), it is being able to reconcile the herd year to year (i.e. opening + purchases + natural increase - sales – deaths = closing) and knowing your total grazing load, in adult equivalents. This can perhaps be best summarised as 'run as many as you can, but no more than you should' and is a fundamental prerequisite to operating a business that is sustainable in the long term in the extensive rangelands. This is more important that any grazing system or herd management system and requires a good knowledge of your (long and short term) carrying capacity and grazing load, as detailed in points 1 and 2, above. Small changes in each of the above drivers have a significant effect on the productivity of your beef business. Knowing your current performance is critical in order to determine your current performance, hence number 2 above. Many producers are not aware that they have a problem in this area, due to not having accurate, reconciled herd numbers. The socially acceptable figures for reproductive rate and mortality rate that are quoted across the north are usually around 75-85% and 2-3% respectively. However, often, the reality is quite different from this. For example the breeder cow mortality project found that female mortality for the Alice Springs region was over 10% and nearly 4% for the Barkly. The Northern Beef Report found reproductive rate was 65% for Alice Springs region. Herd expenditure is the money spent directly on the herd, such as animal health, mustering and contracting, fodder, selling costs, supplements etc. Better performing business generally spend less on their herd in these areas, but have higher productivity. This indicates that they spend their money better, ensuring they get more than a dollar back for every dollar of discretionary expenditure. Determining the optimum spend is station, region and production system dependent, but is a critical component of improving long term performance. Labour has tentacles which go right through the structure of a pastoral business. Over 50% of the cost structure of a business is usually influenced by labour, that is administration, depreciation, fuel, insurance, motor vehicle expenses and repairs and maintenance all increase as labour increases, not just wages. This is why improving labour efficiency (measured as number of Adult Equivalents managed by each Full Time Equivalent of labour used by the business) is the most effective way to lower the overhead cost structure of a pastoral business. Pursuing high value markets is not included in the above. There are opportunities with regard to markets that may benefit some producers (i.e. MSA, PCAS, Organic, EU) however they should be viewed as icing on the cake rather than a silver bullet by producers. By that I mean that if you are an efficient low-cost producer, then there may be further benefits from a strategy of pursuing targeting a premium market, but if you targeting a premium market without addressing the above, it is unlikely to pay off. Implementing the strategies above will result in more productive herds and a more effective cost base, which will lower your cost of production and increase your profits through the full range of price and seasonal cycles that the industry will face. Whatever the level of the market, it will be the lowest cost producers that are making the most money.